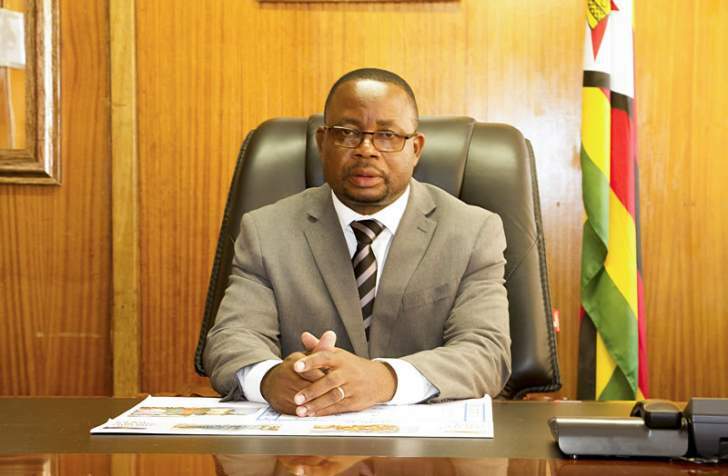 Minister of Primary and Secondary Education Professor Paul Mavima has blasted rumours circukating on social media that certain ZIMSEC papers leaked and hence they will be a re-sitting of the same papers. Mavima called the rumours false and bogus. "There is a letter circulating on social media saying there are leaked O leaked papers for November 2018. This is completely fake. The letterhead on which the latter is written I as minister do not use such a letterhead. The signature is misspelt. My name is Mavima without an h and they put an h.
"These are very mischievous people who are doing it, we ran a very credible exam in November 2018. There was no leaking. I do not know why they are doing it, its completely bogus and false. The Zimbabwe Examination Council is informing the nation that this is completely false, there is no re-sitting of any exam." Said Mavima. 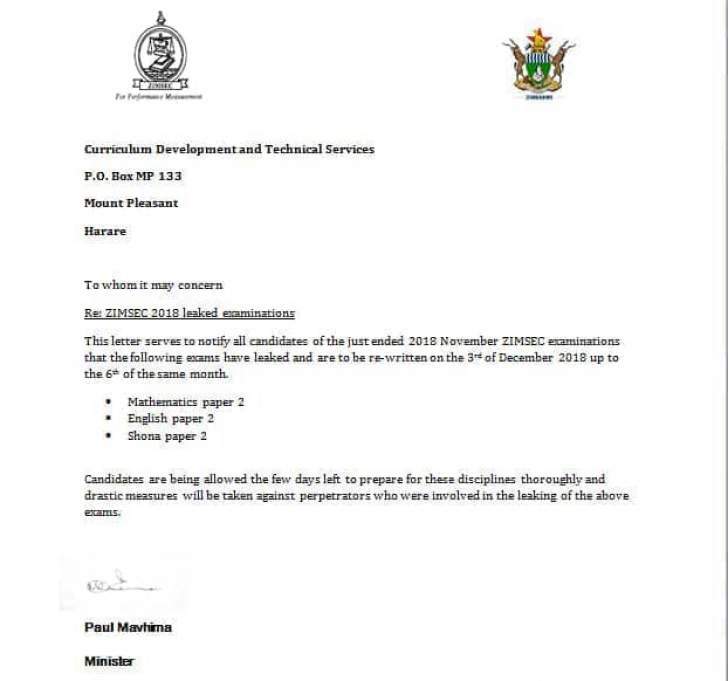 ZIMSEC has had a number of examination paper leaks attributed to poor controls and corruption. This has soiled the image of the council. Although the council has tried to exonerate itself from this debacle, the logistic matrix (transportation of papers from the council's regional centres to schools)has shown that the council is partly to blame. Some school headmasters use their own vehicles whilst others use public transport. The first case of a leaked paper was reported in 1996 when the then Minister of Education, Sport, Arts and Culture, Edmund Garwe gave his daughter examination papers for the 1996 Zimbabwe Junior Certificate examinations. Garwe was forced to resign as a way of trying to save his image which was already tainted.